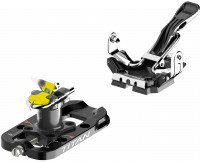 Have a Gara Titan or older TR-Race binding that won’t fit your new boots? 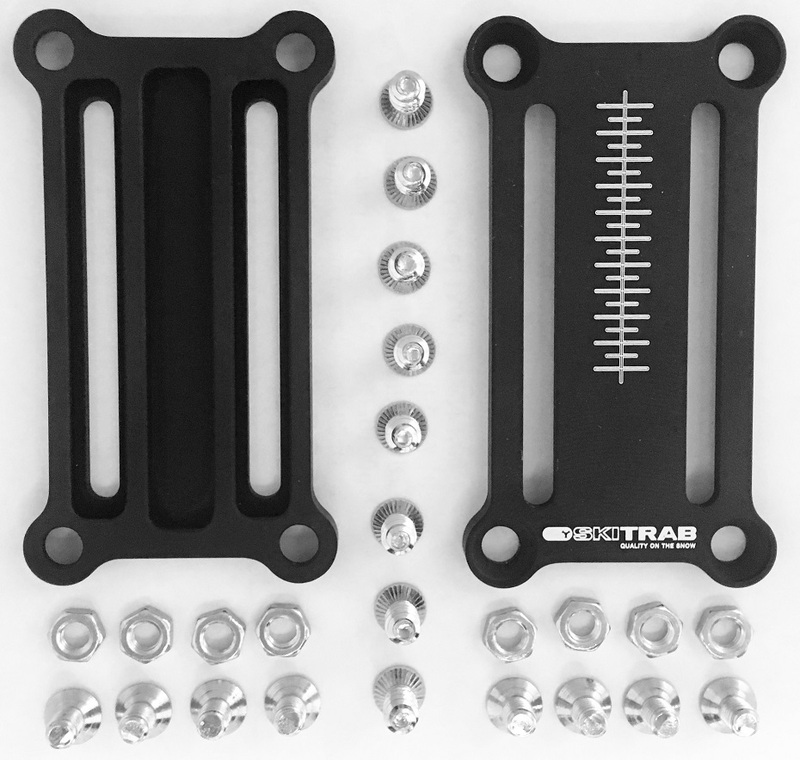 Ski Trab adjustment plates are the solution. All plates are sold in pairs. Flex 30 Plate – A flexible techno-polymer plate that doesn’t interfere with your ski flex! 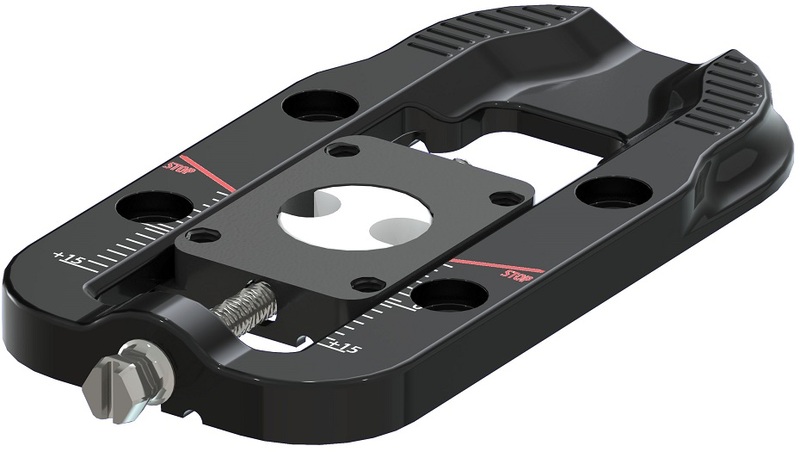 Weighing a mere 57g, the Flex 30 has an integrated slider-bolt to make adjustments super easy and quick. The mounting pattern has screws that are a bit closer together lengthwise than other plates, further enabling your to enjoy the true flex of your ski. Comes with toe shims so you can keep the same ramp angle. Works perfectly with the Titan brakes and it says "Titan" on the sides. All necessary hardware included. 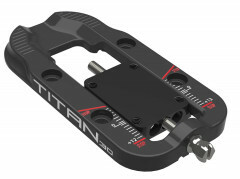 Titan Flex Vario - The standard Flex 30 plate, but taken up a notch. The Flex Vario plate is similar in construction to the Flex 30, but it has a spring-loaded track built into the adjustment plate. As your ski flexes, the heel piece of the binding moves closer to your boot and if the ski flexes far enough, the heel fork can jam against your boot. 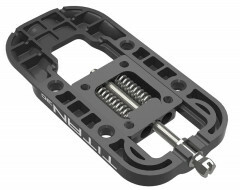 The spring-loaded travel means the whole heel piece will slide back in this scenario so the release mechanism doesn’t bind. This plate says "Titan 30" on the sides and ships with hardware. 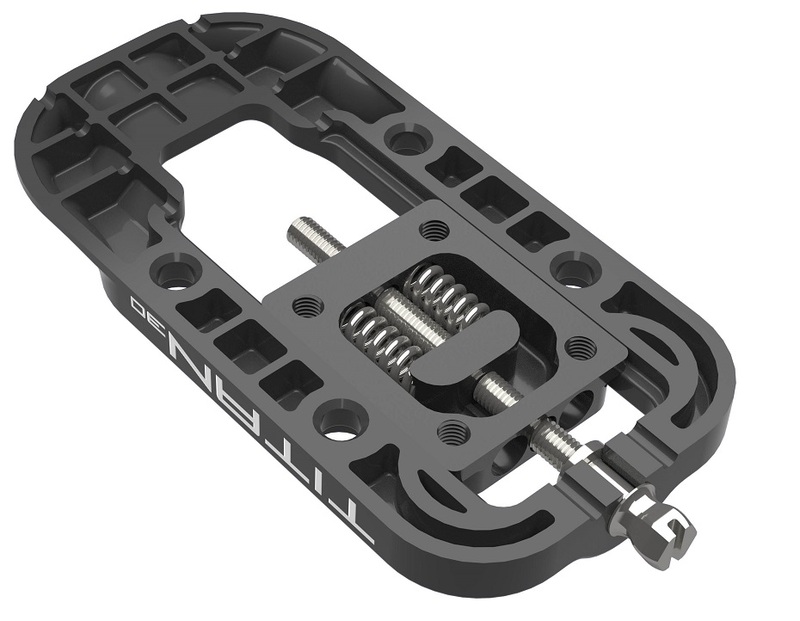 The Vario plates weigh 72g each, plus another 10g if you install the included toe shims that lessen the ramp angle change. 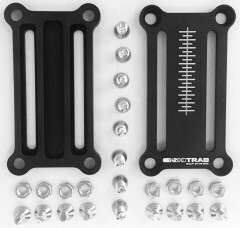 Race Heel Plate - A bolt-tension plate with 60mm rails. 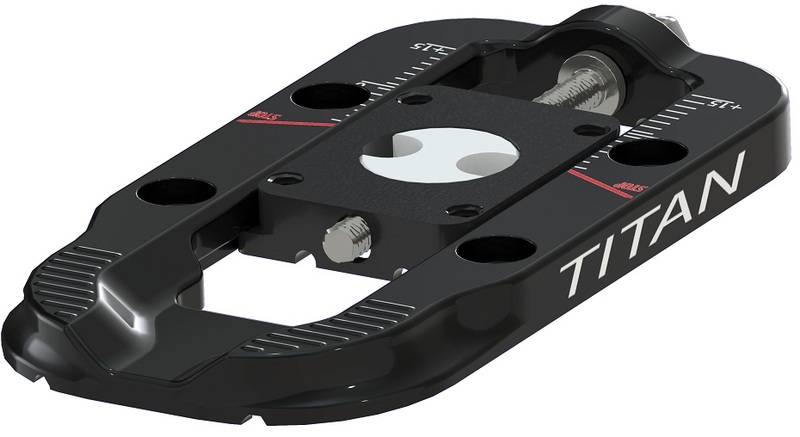 With these plates, a Ski Trab race heel will have around 25mm of adjustment range. Made with bomb-proof Ergal aluminum which weighs in at 29 grams (1.0 ounce) per side. Includes nuts, bolts, and mounting screws. I have a pair of Skitrab Gara Titan WC bindings mounted on Skitrab race skis. My boots are about 1 cm shorter than the already mounted bindings. Will the holes of the back plate fit the already drilled holes of the skis? Assuming they will fit, which plate would you recommend for me? Hi Geir! Thanks for reaching out! I would probably recommend the 60mm plate, though none of the existing holes will be able to be used.  Hi Geir, I uploaded a photo of the 60mm race heel adjustment plates for you. Toe plates are neither necessary nor included. Hey Yannick! Thanks for reaching out! Good eye. It's a different plate altogether than the one on the Gara Titan Adjustable. The weight for the one individual plate is 57g per side so definitely a bit heavier than the super light ATK plates, but these will make sure your skis maintain their normal flex pattern and don't stiffen up once installed. Will these work to replace the plastic heal rails that have broken on my ski trab Tr2 bindings? Hey Doug, they won't but send us a picture and we might be able to get some parts for you. Ski Trab is really good about having an array of spare parts available for their bindings. Easy to install, works as advertised giving you a bunch of length adjustment. Also impressed with the build quality of the heel plate. I use it with the older TR race and it works just fine, but I had to dremmel off ridges on the toe shim to get my TR toes to sit flush. I assume they align properly to the Gara Titan toe pieces. I also really like the built-in crampon adapter on the toe shim. Does this include mounting screws? Perhaps longer screws for the toes as well or will the oem screws work with the shims? Hey Dane, thanks for reaching out! It comes with a ton of hardware. Everything you need for mounting the plate to the ski, the heel to the plate, and new screws for the toe and shim. Just no paper mounting template unfortunately. Ski Trab was assuming only the most experienced skiers would be using this and therefore assumed some pretty advanced mounting techniques that include making a jig yourself or employing world class eyeballing for an accurate mount! Will these work with these ? Hi Randy, yes the Flex 30 plates work with the TR Race binding.